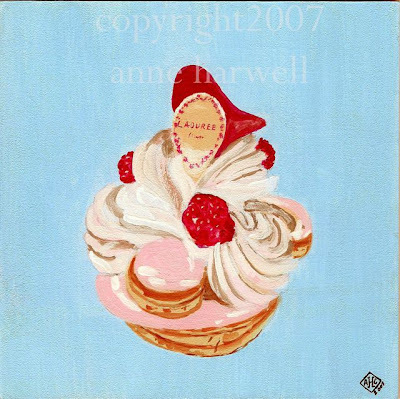 This is an original painting of a wonderful pastry, the St. Honore Framboise, from the famed Parisian Patisserie, Laduree. This delectable treat is "floating" on an aqua background. Painted on 1/4 inch gesso board w/painted edges. Perfect for framing or leave as is. A thoughtful gift for someone sweet! In "Etsy", "Laduree", "My Work", "Paris", "Pastry"